Ignoring the occupation of Azerbaijan’s internationally recognized territories by Armenia and continuing loss of life due to Yerevan’s aggression against the country, some forces are unreasonably pressing on Azerbaijan with human rights. However, it is strange that while speaking about human rights they don’t mention even a word about the rights of over one millions Azerbaijani refugees and internally displaced persons that still continue to be violated as a result of the Armenian aggression against Azerbaijan. Facing injustice and absolute silence on this matter the forces with definite targets take every opportunity to harm Azerbaijan. In a recent attempt to blacken Azerbaijan, a U.S. lawmaker has introduced an anti-Azerbaijan legislation that would deny U.S. visas to senior Azerbaijani officials. The bill submitted to the U.S. Congress by the Helsinki Commission, acting under Chris Smith’s chairmanship on December 16. The legislation, titled as the Azerbaijan Democracy Act of 2015, can be a step that could harm the Azerbaijani-U.S. relations. 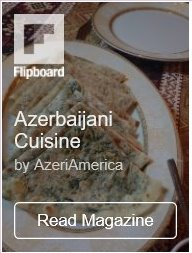 The Azerbaijani community has condemned such a move. which politicians believe to be taken under the influence of the Armenian lobby in the United States. Azerbaijani Foreign Ministry assessed the bill to be of anti-Azerbaijani nature and unacceptable. “The initiator, Chris Smith, has always taken a pro-Armenian stance and is under influence of the Armenian lobby in the U.S.,” Hikmet Hajiyev, Azerbaijani foreign ministry’s spokesman told Trend. In the meantime, Azerbaijani MP Fazail Agamali proposed to investigate whether Smith acting on behalf of the United States and in accordance with its values, or acting under the pressure of the Armenian lobby. Noting that the bill clearly indicates that Smith is a congressman influenced by the Armenian lobby, Agamali said such a bill must be prepared in relation to Armenia, where human rights are regularly violated. “Representatives of the criminal regime, now governing Armenia, were directly involved in the act of genocide not only against the citizens of Azerbaijan, but also oppress its citizens,” the MP said. In fact the legislation offers nothing new. 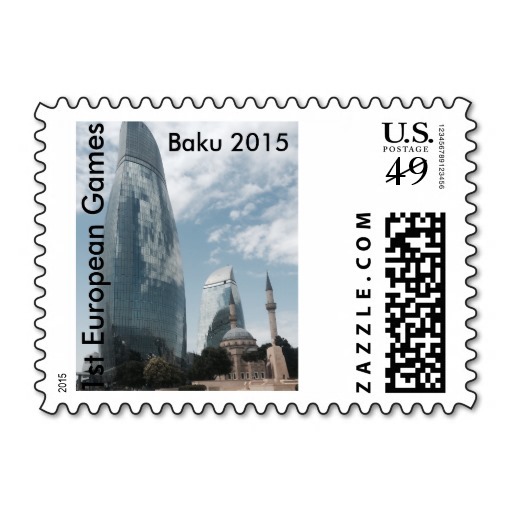 Such template accusations in relations to Azerbaijan sounded earlier and nothing new for Baku. This only aims to put pressure on Azerbaijan. However, approval of such a deal by the Congress may negatively affect Azerbaijani-U.S. relations. “Such steps may also adversely affect the image of the U.S. among the public of Azerbaijan,” Hajiyev noted. Since Azerbaijan’s emergence as an independent nation in 1991, the U.S.-Azerbaijan relationship has evolved into a strategic partnership based on mutual interests and common values. Such acts would waste efforts to on expanding cooperation between the strategic partners. Hajiyev said despite the claims that the document was prepared in the interests of national security and economic interests of the U.S., the authors in fact intended to cast shadow on the successful cooperation between Azerbaijan and the U.S. in energy security, combating terrorism, economy and others. While preparing such documents, the congressman seemed forgot about Azerbaijan’s support to the U.S. peacekeeping operations in Afghanistan and before in Kosovo. Azerbaijan is also a country, where representatives of all nationalities, ethnicities and religions live in peace. The bill by Smith was obviously prepared without having basic information about the country. “The bill, without referring to any investigation or facts, asserted that human rights and freedom of the press are violated in Azerbaijan, and those arrested for criminal acts are called “political prisoners”, which is nothing more than a deliberate bias,” Hajiyev noted. He further strongly criticized the claims contained in the bill on alleged violation of religious freedom in Azerbaijan – a country that has been a model for the entire world for its traditions of multiculturalism and centuries-old peaceful coexistence of followers of different religions and faiths. 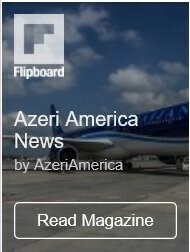 “The bill shows once again that Azerbaijan, which is playing an important role in strategic projects, such as the Baku-Tbilisi-Kars, TAP/TANAP, and Silk Road, in a complex geopolitical area, and being an oasis of stability and security with its policies based on the people’s will, makes anti-Azerbaijani circles seriously concerned about itself,” Hajiyev said. The pressing has recently intensified against Azerbaijan. Thus, it is not the only accusation against the country. Council of Europe Secretary General Thorbjørn Jagland on December 16 launched an inquiry into Azerbaijan’s implementation of the European Convention on Human Rights that was regarded as another anti-Azerbaijani move.